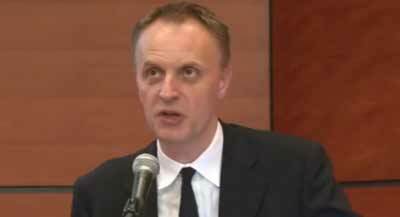 NGO Monitor has examined the fix-it report promised by Richard Horton, editor of British medical journal The Lancet following his visit to Israel after the highly respected journal had come down heavily on Israel and expressed support for Gaza. Horton’s editorial in this week’s Lancet marks another step towards ending the exploitation of this journal for demonizing Israel. The creation of a “new partnership to publish a Series on Israel’s health and medical research system” will be significant. At the same time, however, Horton failed to retract or apologize for his own central responsibility for the mendacious ” An Open Letter for the People of Gaza” in July 2014. What he refers to as the “Manduca et al letter” consisted of political slogans, blatantly false allegations against Israel and the Israeli medical community, as well as the whitewashing of 4,560 rocket attacks from Gaza targeting Israeli civilians – every one a war crime. It is clear that this letter should never been published. While these issues were raised many times during his visit to Israel, Horton’s editorial makes no reference to them. Horton does acknowledge that “two co-authors” of the Gaza letter – Drs. Paola Manduca and Swee Ang Chai – distributed a “vile and offensive video” by American white supremacist David Duke, as first reported by NGO Monitor and then cited in The Telegraph. But then Horton falls silent, failing to address the questions of how and why the review process at The Lancet that he leads allowed this ugly screed to be published on its pages, further damaging its credibility. And instead of drawing the obvious moral conclusion by retracting this letter, which he criticized merely for causing “polarization”, he is silent and even leaves open the potential of future Lancetpublications by Manduca, Swee Ang and other authors of the Gaza letter, including Mads Gilbert and Ian Chalmers. As NGO Monitor has repeatedly stated, Horton and the publisher, Elsevier, have a moral and professional obligation to also acknowledge their central role in the tendentious activities of the politicized Lancet-Palestinian Health Alliance. This framework gives a central role to Medical Aid for Palestinians (MAP), an NGO co-founded by Swee Ang, one of the promoters of the antisemitic Duke video and a co-author of the Gaza letter. Until Horton acknowledges these issues and implements the steps outlined below, his “proposal for new guidance,” the reference to the “disruptive and divisive” nature of political discourse, and warnings against publishing “manuscript[s] that might unnecessarily polarise, or foster or worsen political division” lack substance. Issue a formal and unequivocal retraction and apology to be published prominentlyboth on the website and hard copy issue of The Lancet. The July 2014 Gaza letter by Manduca, Swee Ang and colleagues, which is indelibly tainted by antisemitism, must be removed from The Lancet’s website immediately. Initiate a review of Lancet articles related to Israel published since 1 January 2001 to determine whether and which articles fail to meet established scientific standards, and to issue retractions.